Last week Logitech took home seven CES innovation awards for excellence in design and engineering. Among the products winning awards were the Logitech G13 advanced gameboard, which won the Best of Electronic Gaming award, and the Harmony 1100 advanced universal remote, which won the Best of Home-Theater Accessories award. 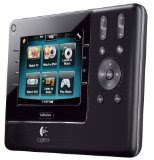 Winner of the CES 2009 Design and Engineering Award: Best of Innovations in Home-Entertainment Accessories, the Logitech Harmony 1100 advanced universal remote delivers powerful home-entertainment control through a customizable, 3.5-inch full-color touch screen. Logitech’s newest remote provides a touch-screen interface that lets you put the commands you want, where you want them. With its fully redesigned software, the 3.5-inch touch-sensitive screen – which features QVGA resolution – gives you a brilliant base from which to control your system. Using the new Harmony software, you can select the commands you use most and put those features on the screen. If you love to watch movies, for example, and are always using the Play and Pause buttons, you can tell the Harmony 1100 to make those commands immediately available on the screen once you start your movie. 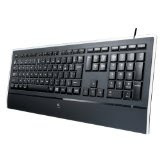 Winner of the CES 2009 Design and Engineering Award: Best of Innovations in Electronic Gaming, the Logitech G13 advanced gameboard is a hybrid gaming keyboard designed to complement your Logitech keyboard and mouse – giving you game-changing comfort and control on a Mac computer or a PC. With its sculpted, ergonomically inspired shape and pushing-the-envelope functionality, the Logitech G13 advanced gameboard completes your search for gear, augmenting a Logitech G15 keyboard for gaming and a Logitech G9 Laser Mouse. Delivering increased comfort, the iconic contoured design complements the natural shape of your hand and fingers, while the smooth, concave home-row keys make it easy to locate buttons by touch. With three game modes, 25 programmable keys and a programmable analog stick, the G13 gameboard offers up to 87 ways for you to control your game (software installation required). And you can set up custom button-profiles for each one of your favorite titles. You can even create macros on the fly without having to pause your game. 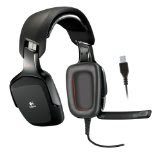 For game-changing immersion, the Logitech G35 headset is the first Logitech headset to offer 7.1 surround sound – a perfect complement to the growing number of action games and high-definition movies that support 7.1-channel surround sound. Powered by second-generation Dolby Headphone technology, the G35 headset simulates the complex acoustics of a listening room, creating a detailed, outside-the-head sound field. Plus, with its proprietary ear-enclosing design, the G35 headset greatly reduces ambient noise from interfering with your entertainment, while an adjustable, noise-canceling microphone focuses on your voice and reduces background noise. The Logitech Driving Force GT racing wheel – the official wheel of Gran Turismo – features powerful force feedback and an innovative 24-position realtime adjustment dial for on-the-fly control of brake bias, traction and damper settings, the Logitech Driving Force GT gives gamers the most accurate and authentic PLAYSTATION 3 (PS3) racing experience. 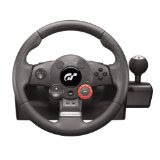 The Driving Force GT racing wheel was meticulously designed by Logitech and Polyphony Digital, Inc., the developer of the Gran Turismo series. The companies worked together to add the unique realtime adjustment dial, a first for force feedback wheels, allowing people to fine tune the car’s balance by adjusting the brake bias, traction control and damper settings. The Logitech Squeezebox Boom is Logitech’s first all-in-one network music player, featuring an integrated amplifier, high-performance speakers and a simplified setup. With the Logitech Squeezebox Boom player, you can listen to your digital music in the kitchen, the bedroom or any other room in your home – without needing to attach external speakers. Just plug the new Logitech network music player into a power outlet – there are no additional wires to connect. 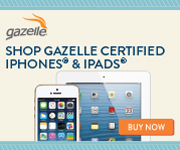 Then, using your existing home network, you can listen to the music you love from the personal collection on your computer, your favorite Internet radio stations, and subscription services such as Rhapsody, Last.FM, Slacker, Pandora and Sirius – even when the computer is off. Unlike standard PC speakers that focus sound in one direction, the Logitech Z-5 speakers use omnidirectional acoustics that create a substantially wider sweet spot – an especially helpful feature if you often move your laptop around your home or office. An innovative speaker technology previously found only in expensive home-theater systems, omnidirectional acoustics on the Logitech Z-5 speakers use forward- and backward-firing drivers to transmit sound evenly in all directions. Whether you’re listening to your favorite song or watching a video on YouTube, you’ll enjoy rich, articulate sound and minimal distortion – from every corner of your room. The Logitech Illuminated Keyboard makes typing easy – even in the dark. To optimize existing backlight technology, Logitech combined microlens reflectors, a multilayer painting process and laser etching – creating a backlight experience that is brighter, sharper and easier to read. Whether you're typing an e-mail or chatting with a friend, the adjustable backlight gives you just the right amount of light. With its transparent frame, the ultra-thin Illuminated Keyboard (.37 inches or 9.3 mm from base to frame) adds an elegant touch to any desk. Balancing form and function, the keyboard offers a full-size key layout (including a number pad), soft-touch palm rest and a full row of F-keys, as well as media- and volume-control keys for instant command of your entertainment.